The weather in New York, unlike the UK is well defined by the seasons. I often receive the question “what will the weather be like”. The best thing to do, is of course to check the forecast before you travel. The weather in New York can change a lot from day to day. I’ve listed some tips on how best to prepare for your trip and get the most out of it, no matter the season. 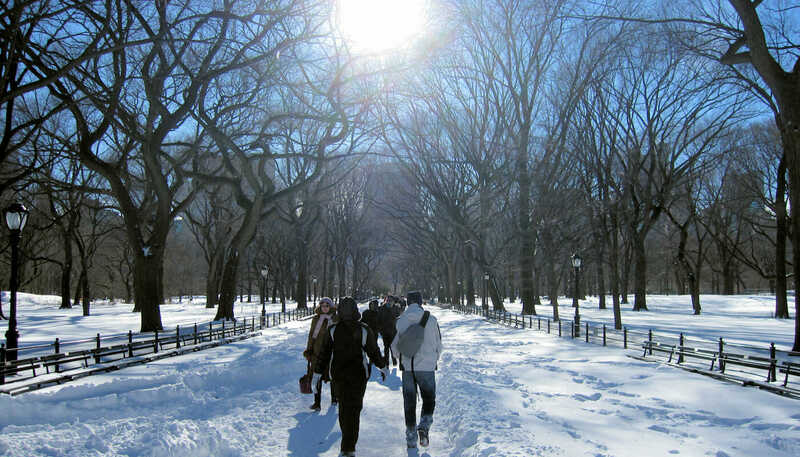 Winter in New York begins in mid-December and lasts until the middle of March. In December it’s not yet full blown winter and contrary to what the movies show, it rarely snows at Christmas in New York. The coldest months of the year and when the real winter usually arrives are in January and February. This is when you are most likely to see snow, perhaps even a blizzard which often brings everything in the city, including your flight if you’re very unlucky, to a halt! The secret to enjoying New York in the winter months is to wear layers. It really helps when you’re sightseeing and spending time outdoors and indoors where the heaters are blasting. Don’t forget gloves, a hat and good winter boots especially if it snows. Erics Tip: It can get really cold in New York in January and February. The wind can be brutal and New Yorkers often talk about the wind chill factor which can make -5c temperatures feel like -15c. On those days, I like to plan a mix of indoor activities. Hop on Hop off bus is a good choice for sightseeing and you can visit one of the many museums. For evenings, nothing beats a sports game in Madison Square Garden (indoors!) like the Rangers or the Knicks. A Broadway Musical is a great way to spend the evening warm. 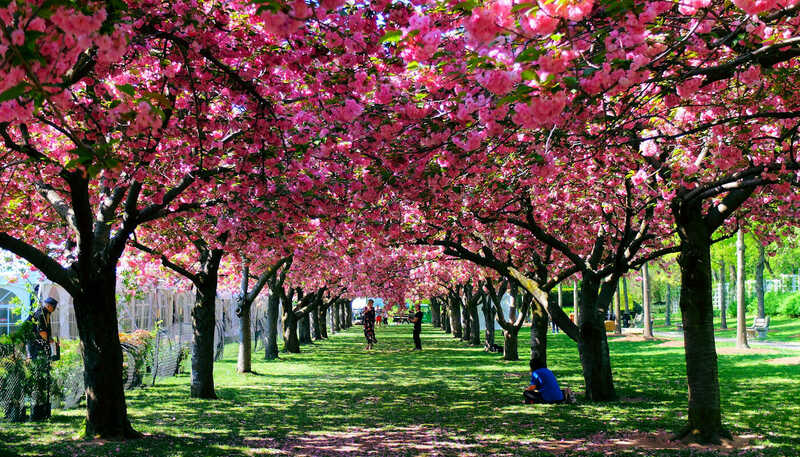 Spring in New York begins in mid-March and lasts until the middle of June. The early spring might be one of the trickiest seasons to pack for as, in March it can still get chilly and you might need a warm coat. In April, usually you’ll already have warmer days. You’ll still need a coat for sure and I might even pack an umbrella too. Best to keep the weather forecast in check. Summer in New York begins in mid-June and it can get really hot, tropical even. It’s important to stay hydrated and wear plenty of sunscreen. This is especially crucial for children and if you are taking one of the city sightseeing cruises. Even if the heat makes you feel like wearing shorts and flip-flops, there are a few things to remember: Flip-flops are not the most comfortable choice for walking around the city. Not all restaurants allow you to enter wearing shorts. Also, the air conditioning can feel really cold so you might need a jacket. Heading to Financial District? It’ll always be cooler in that area due to the high rises. Autumn begins in mid-September and runs until the middle of December. The beginning of the season is still warm but the nights can get cooler. Again, you might need a jacket or a hoodie for those cooler days and in the evenings but it might still get warm during the day. Eric’s Tip: This is one of my favourite seasons. It’s not too hot but not too cold either. Chances of rain do increase but you can still sit outside and enjoy the weather for example on a rooftop bar. 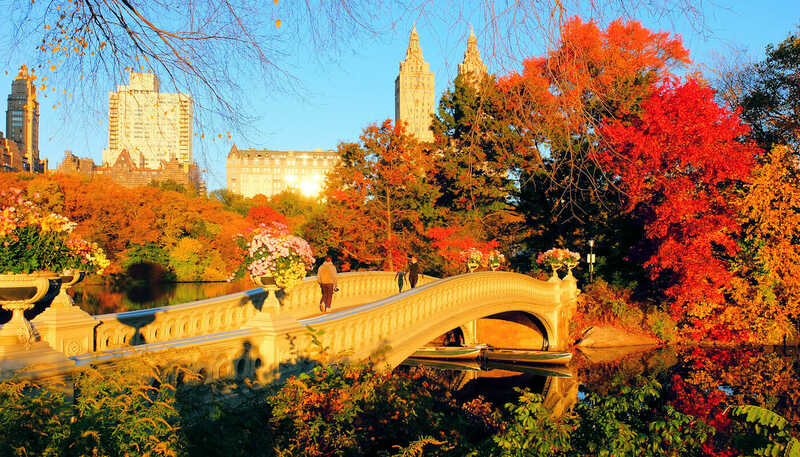 And Central Park looks beautiful in the autumn. Want my tips on what to pack? Sign up to my bi-weekly newsletter below.